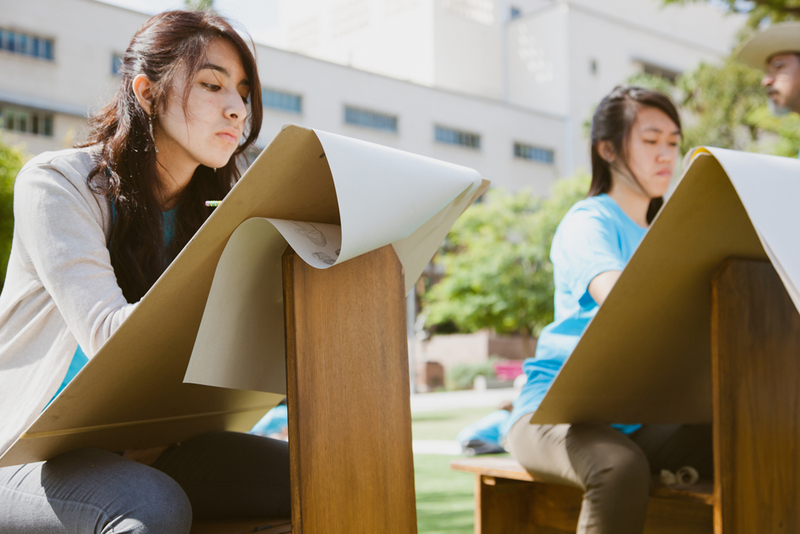 The Ryman Arts' Big Draw LA flagship event, "Make Your Mark in the Park," takes place at 11:00am on Saturday, October 11 in between Hill Street and Broadway in Los Angeles’ Grand Park. A fun-filled, creative afternoon, we will celebrate the act of drawing by welcoming thousands of Angelenos to draw together. With both public performances and many participatory drawing activities, Grand Park will be transformed into a giant experimental drawing studio. Ryman Arts students will help lead the drawing efforts, engaging the public to join in for this enormous collaborative art project. These drawing projects will be photographed and ultimately showcased online at www.thebigdrawla.org. Last year’s event was attended by over 3,400.